A durable home with a roof that can withstand the effects of climate change is becoming more and more prevalent. The midwest is an area with roughly 61 million people which harbors about 20 percent of the national total. Its gross domestic product (GDP) is about 2.6 trillion as it’s home to vast agricultural land, lakes, and forests. Because it is becoming increasingly more populated it affects the air and water pollution and is left vulnerable to climate change. Climate change is making our weather patterns more dramatic and destructive which calls for homes and buildings that are more durable and able to withstand extreme weather better. At Advantex Restoration, we combat extreme weather with a solution — metal roofs. Learn more about climate and the need for metal roofs in today’s post. Climate change amplifies weather patterns and makes their effects more damaging to homes with increased heat stress, drought, flooding, pests, late spring freezes, competition for non-native species to invade, ecosystem disturbances, crop failures, etc. Much of the industries that surround the Wheaton area depend on the large bodies of water for tourism, recreation, and fisheries. Climate change is notorious for its warming effects, and the midwest is no stranger to this — the nights are warmer and the winters are much milder than previously. In the last century, rainfall and flooding in the midwest have dramatically increased and these trends are expected to progress which not only negatively impacts water quality and causes erosion, but calls in concern to infrastructure and how homeowners can combat this serious threat. 2018 was one of the first years the Metal Roofing Alliance (MRA) considered the concept of the “durable home” and how metal roofing would help shape that reality. Unfortunately, it’s a reality that is being forced as homeowners are facing an influx of extreme weather patterns that compromise the health and optimal functioning of their home. 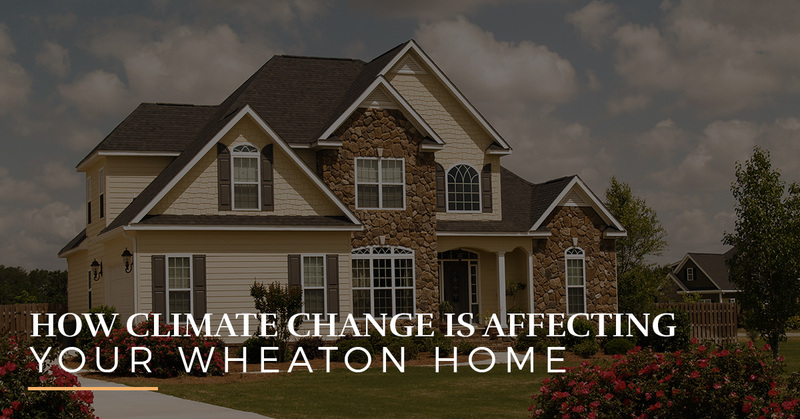 Homeowners in Wheaton are left battling rain and hail storms, extreme heat, and all over large, devastating storms. These storms are the exact reason those in the home improvement industry — namely roofing — is starting to have the conversation about climate change. It’s about being proactive and helping the homeowner better weather the storms. This is why we need durable roofing options in the midwest! Hurricane Michael made a disastrous dent in the Florida region and in this storm, a headline story came forth. The Miami-Dade area has a strict wind load code already, but in the face of the hurricane, a home went exceedingly unscathed because it was built to even higher standards that went beyond the already stringent wind codes! This natural disaster gives us a glimpse into what the building and roofing industries will look like in the very near future. 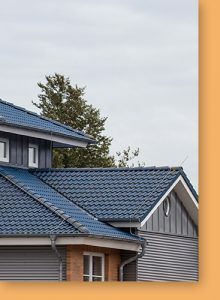 There is no exception that implementing stronger and more durable roofing materials is apparent, especially in Wheaton because the cost to rebuild or get a new roof after each and every storm is a cost that no homeowner could take the brunt of. Why Metal Roofs in Wheaton? Metal roofs are an amazing choice for homeowners because they combat natural disasters like the pros they are. This is key to the midwest as we face rain and hail storms and extreme summer temperatures that greatly strain and put wear and tear on a roof. Why choose a metal roof in the wake of climate change? A metal roof lasts longer — up to three times as long as traditional asphalt roofs. Metal roofs can withstand hurricane-force winds and are much less likely to be damaged by heavy ice and snow. Metal roofs tackle hot weather and scorching midwest summer temperatures brilliantly. At Advantex Restoration, we are one step ahead. We are not waiting for climate change to get worse or for the roofing industry to implement more stringent roofing regulations. We are here now to better fortify your roof and to better prevent future roof damage with a metal roof that will withstand all the extreme weather that mother nature throws. Don’t learn a lesson the hard way and invest in a metal roof with us today!